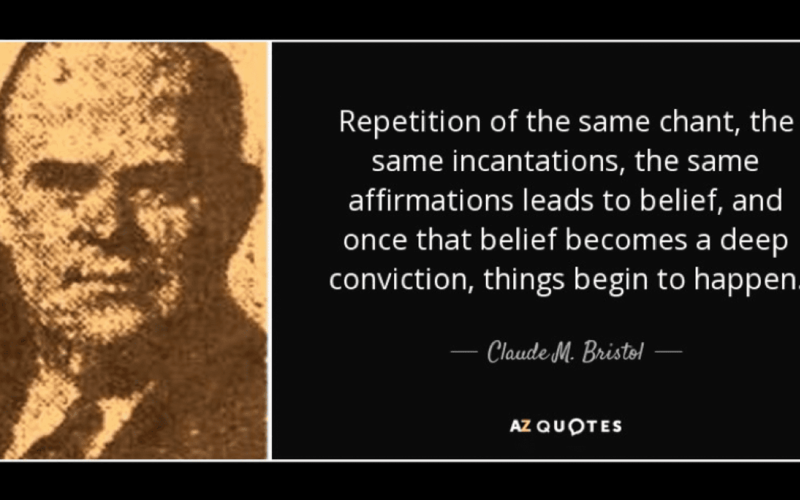 Claude Bristol is a name not often heard these days, yet his message on the power of believing is timeless and draws on the teachings of Buddha, Jesus, Phineas P. Quimby, Mary Baker Eddy, Ralph Waldo Emerson, and others. I have read literally thousands of books on modern psychology, metaphysics, ancient magic, Voodoo, Yoga, Theosophy, Christian Science, Unity, Truth, New Thought, Coueism, and many others dealing with what I call “Mind Stuff,” as well as the philosophies and teachings of great masters of the past. Claude Bristol was a hard-headed journalist for several years, including stints as a police reporter and as church editor of a large city newspaper. In this post, he met people from every denomination and sect and later read hundreds of books on psychology, religion, science, metaphysics and ancient magic. Gradually, Bristol began to see the ‘golden thread’ which runs through all religions and esoteric teachings: that belief itself has amazing powers. “It is paradoxical, yet true, to say, that the more we know, the more ignorant we become in the absolute sense, for it is only through enlightenment that we become conscious of our limitations. Precisely one of the most gratifying results of intellectual evolution is the continuous opening up of new and greater prospects.” – Nikola Tesla.